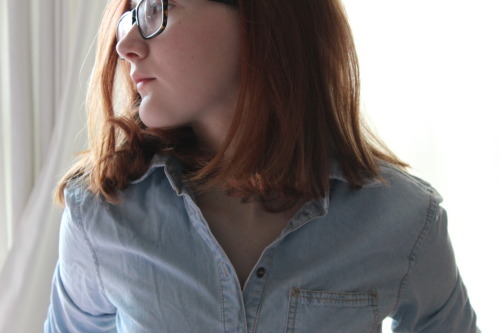 I’m super excited to be sharing a guest post with you today, from Katy Cannon! 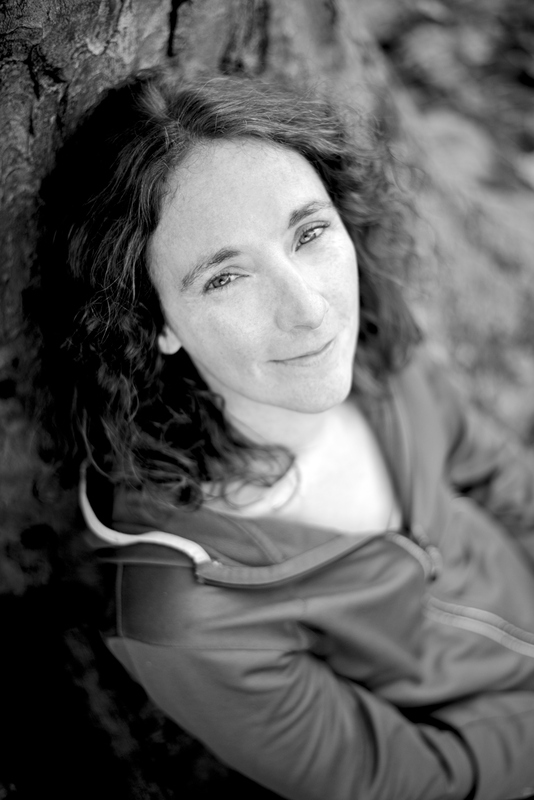 Her latest book, And Then We Ran, is released this week. One of the reasons I enjoyed it was there’s an emphasis on photography, as the protagonist is trying to pursue her goal of becoming a photographer after she realises she has a talent for capturing photos of people in the moment. So, here’s Katy with twelve photos from her life up until writing! Sometimes, I think that I remember events more from the photos of them than my actual, admittedly slightly dodgy, memory. Of course, that’s part of the joy of photos – they enable you to relive precious moments over and over. My latest book, And Then We Ran, is peppered with photos throughout. The heroine, Megan, plans to leave home and become a professional photographer – if she can just pull off the craziest scheme of her life to make it happen. You know how it is: one thing leads to another, and suddenly you’re eloping to Gretna Green with your childhood best friend. When life gets really interesting, it’s important to take time to remember the details. And that’s where photos can really help. So, here’s the story of my life, in twelve photos. 1. I was born out in Abu Dhabi, in the United Arab Emirates, where my Dad was working at the time. (That’s him, burying a friend on the beach for my amusement.) 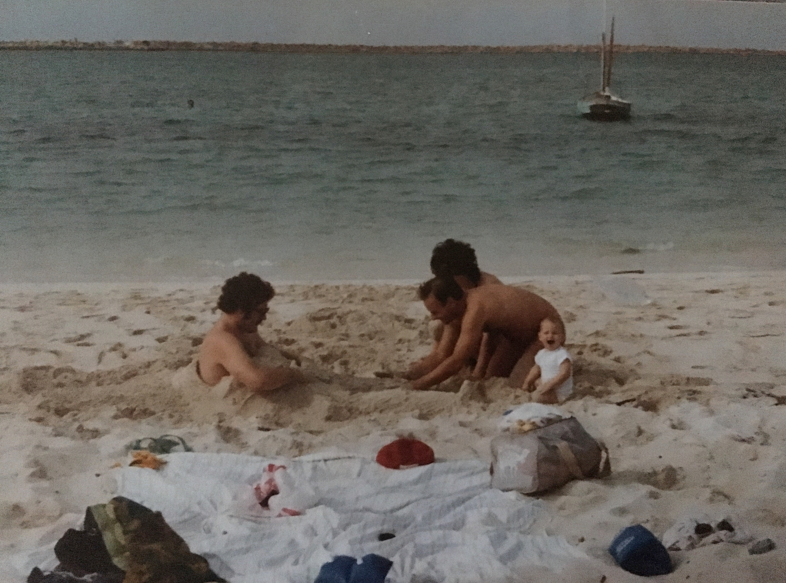 Apparently I really liked to dip sausages in the sand to eat them, and chasing cockroaches down the corridors of our building. 2. We moved home to Britain when I was a toddler, settling in Surrey, but visiting our family in Wales often – especially for Christmas! Christmas is truly the MOST wonderful time of the year in my family, and we celebrate it extensively. 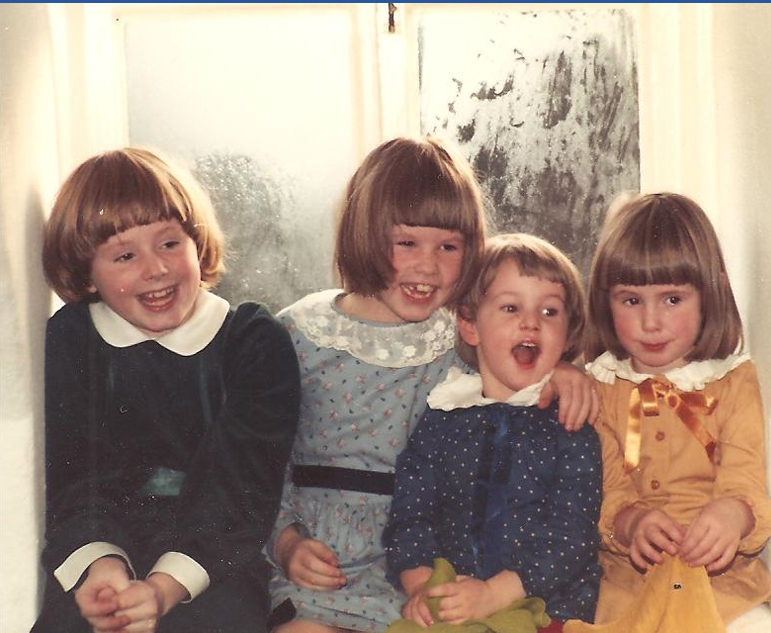 Here I am, in my Christmas finest, with my three older cousins. 3. 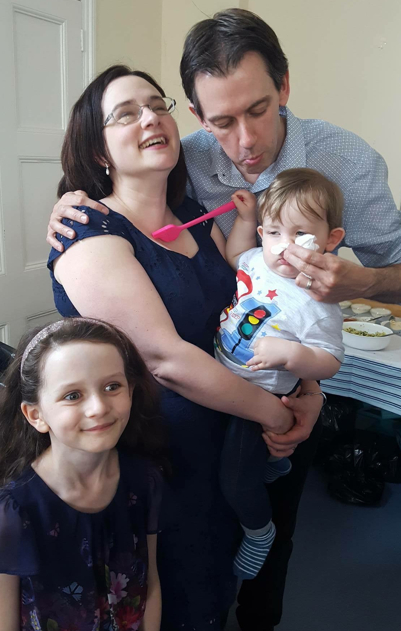 When I was eight, we moved home to Wales again in order to be closer to family, just before my youngest brother was born. Because the house we were supposed to be buying fell through, we ended up living with my grandparents (at their home, known as HQ) for a full year before moving into our new house. 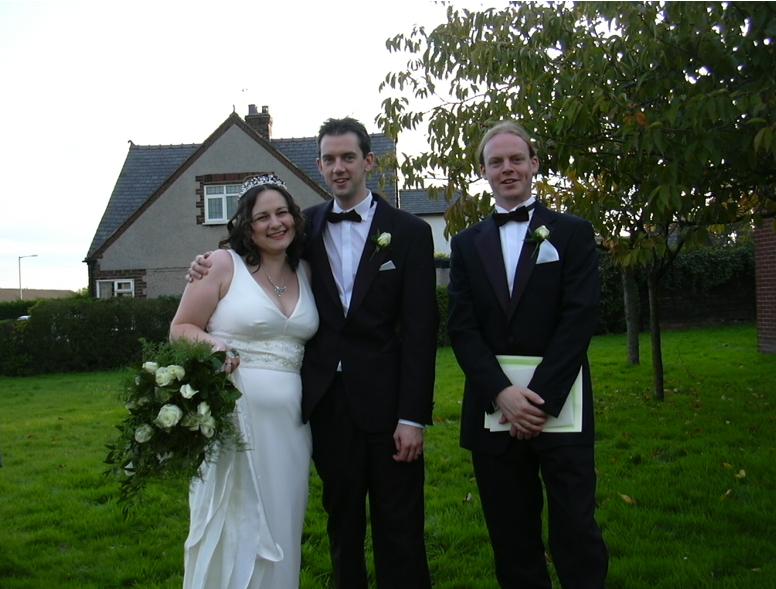 Here I am with both my brothers, outside our new home, sorting through boxes of books we’d been storing in the garage. 4. 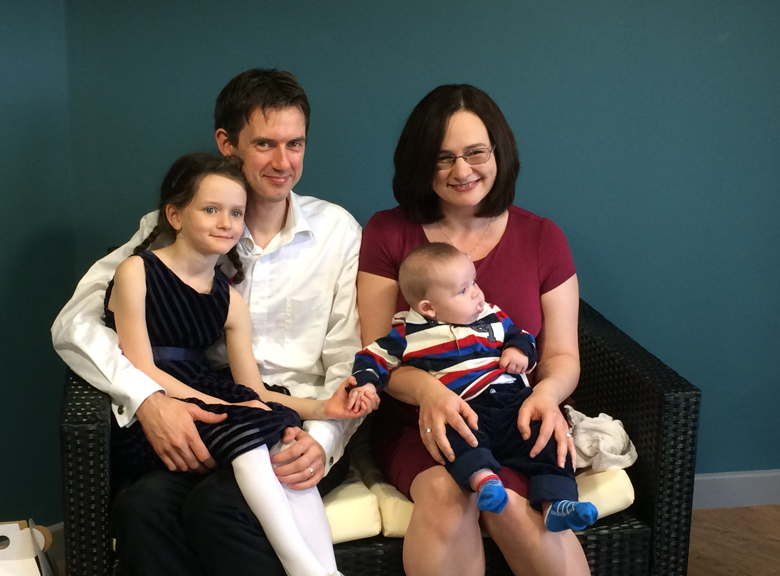 Moving home to Wales meant we got to spend a lot more time with our family – even after we moved out of HQ!. 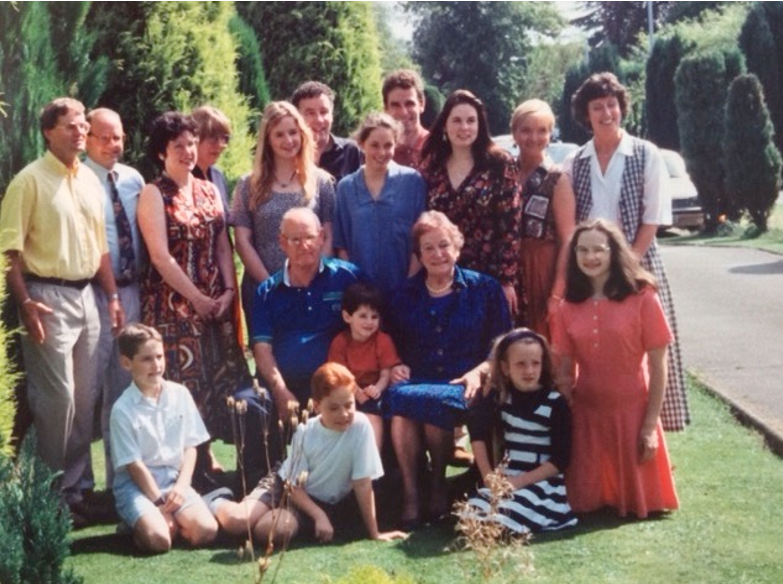 Here I am (in the alarmingly bright coral dress on the end) at my maternal grandparents’ Golden Wedding Anniversary. We like a celebration in my family, and fifty years of marriage is a very good reason, after all. 5. I finally left Wales again to go to university in Lancaster – which I loved. 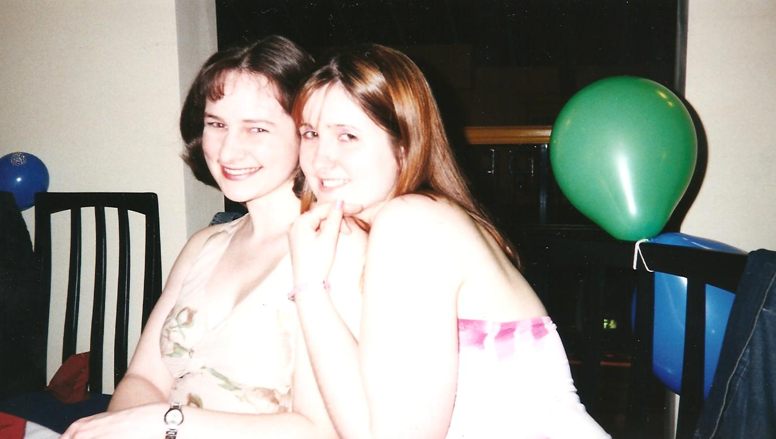 This photo was taken at my twenty first birthday celebrations, with my university housemate – who is now my daughter’s godmother and a lifelong friend. 6. My friends continue to be huge influences in my life. Many of my closest friends I met in school or sixth form, and I’m lucky to still have them around today. These are the sort of friends you can call and say, “This might sound crazy, but I’ve got an idea,” and know they’ll generally go along with it – or talk you out of it if it’s downright stupid. Everyone needs friends like mine. This photo was taken on one of our Boxing Day walks (we’re up to fifteen now, I think). 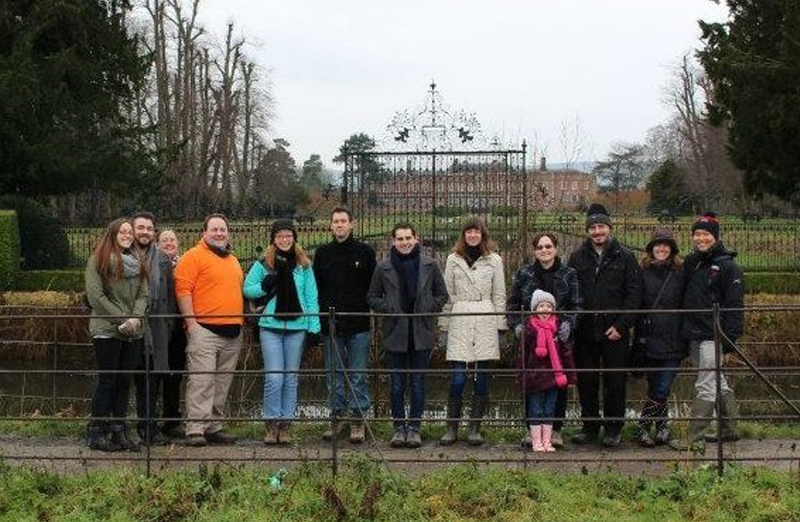 It’s a tradition that every Boxing Day (or thereabouts) whoever is still home for Christmas (and can’t come up with a good excuse) has to tramp around Erddig Park in whatever weather Wales in December decides to throw at us. We always follow the same route (one year we tried to do it in reverse and ended up in a mud pit. We don’t talk about it) and end up at the same pub, for a very large – and well deserved – lunch. 8. In fact, my husband even proposed to me up a hill, at a Welsh castle. (Dinas Bran – well, the desolate ruins of – in Llangollen. In December. In minus 4 temperatures.) We got married at home in Wales the following November. Here we are with the best man. I’m laughing because my heels are sinking into the mud. 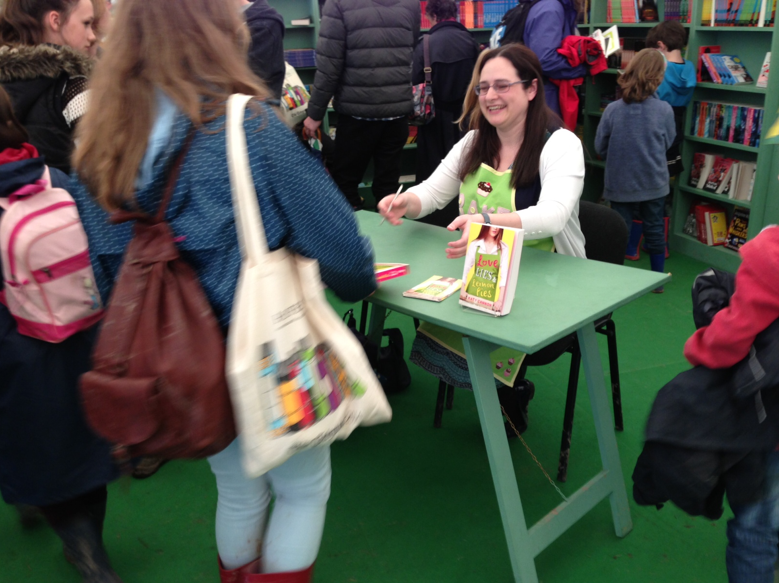 Also I was ridiculously happy. 9. And then, over the next ten years, we had two kids. Here they are, in a picture perfect family portrait of the sort every mother hopes for. Oh well, at least it’s realistic. 12. And, I’m pleased to say, the joy of being a writer doesn’t get old. 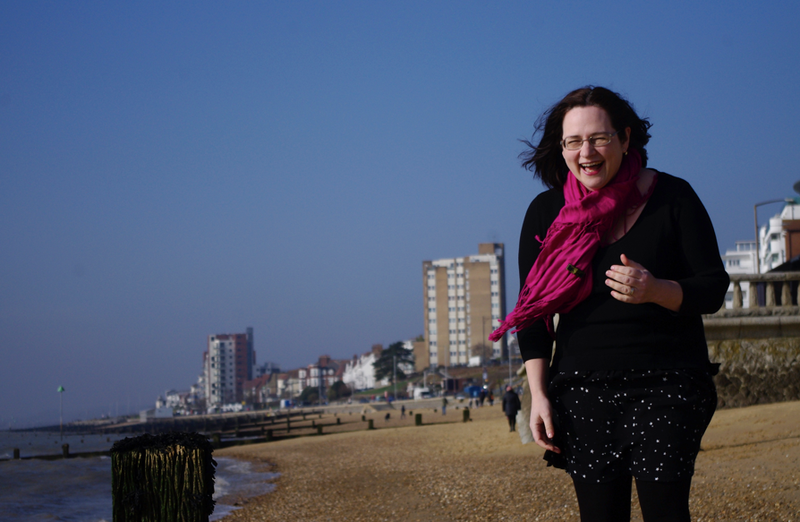 Here I am in Southend-on-Sea just a month or so ago, having photos taken by my publisher for the promotion of And Then We Ran. Plus they let me play on the tuppenny falls while we were there. Is it any wonder I look so happy? 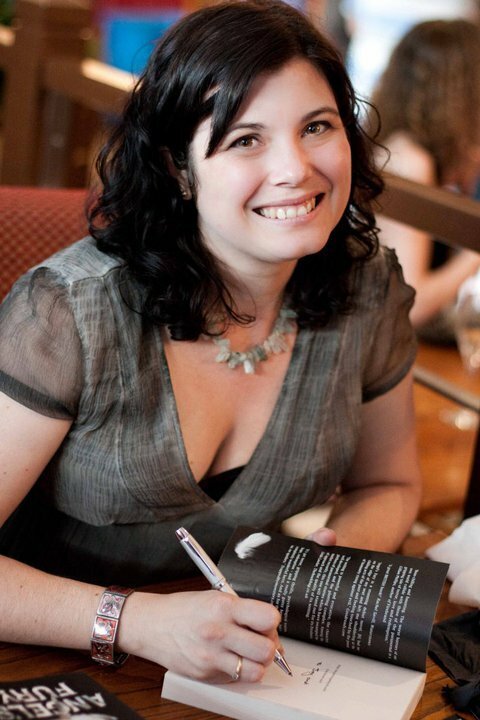 This entry was posted in Blog Tour, Guest Post and tagged and then we ran, author spotlight, Blog tour, contemporary, fiction, guest post, katy cannon, photos, romance on April 3, 2017 by Gee. 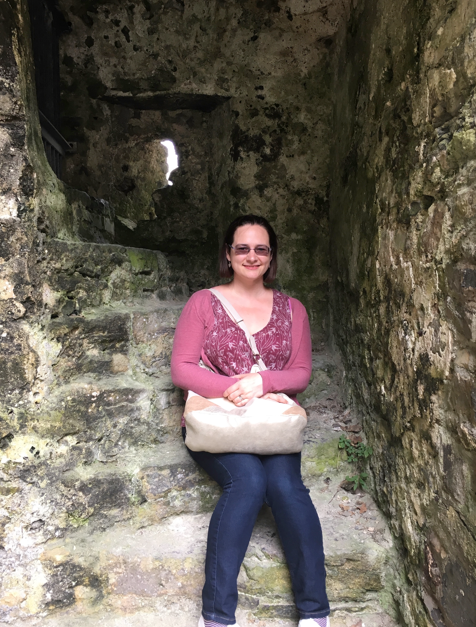 I’m delighted to be welcoming Lisa Selin Davis to the blog today, to talk about the novels that inspired her to turn to writing! 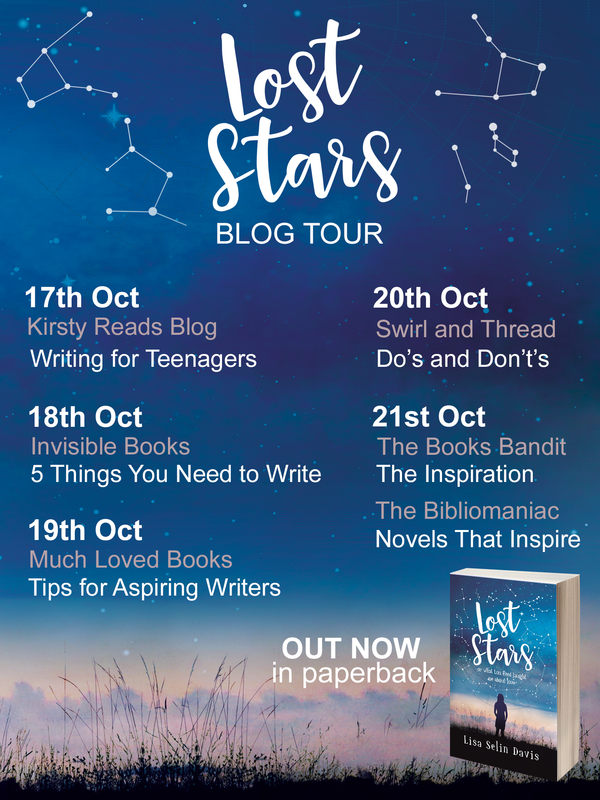 Her debut novel, Lost Stars, is out from Hot Key Books and I’m very excited about it. I’m in love with the cover. I’m not alone in being inspired, very recently, by The Fault in Our Stars by John Green. It’s not why my title is “Lost Stars”—that came from my own love of astronomy and my main character, Carrie’s, obsession with the night sky. But the heartbreak and humor in that book—it stayed with me. 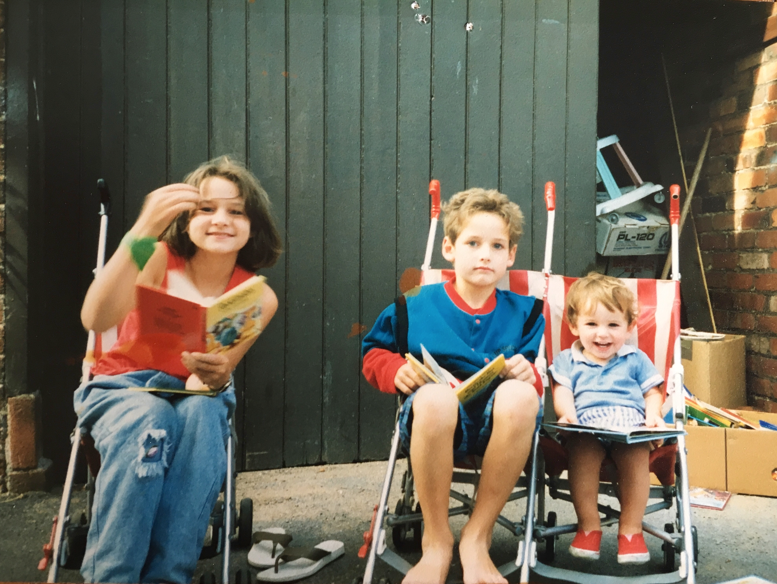 The first young adult novel I can remember really loving was Madeleine L’Engle’s Meet the Austins, about a noisy, loving family, forever changed when an orphaned 10-year-old girl comes to live with them. I think I really wanted a family like that. My parents were divorced and I felt terribly lonely and isolated in the towns we moved to when I was young. As an older kid, three pieces of writing really affected me. A short story by Alice Munro, How I Met My Husband; Anne Tyler’s Morgan’s Passing; and a short story by Deborah Eisenberg called What It Was Like, Seeing Chris. They were all very, very different pieces, but probably all had a sense of quiet bewilderment that really affected me. I read them all when I was in junior high, and I said to myself “Whatever these ladies did, I want to do that too.” They really made me want to be a writer. As a side note: my parents subscribed to The New Yorker, a famous, venerable, and long-running literary magazine, that has both fiction and journalism. I really hold this magazine accountable for my becoming a writer. For a long time I just looked at the cartoons (many of which I didn’t understand) or at the illustrations, but then, around age 13, I started to read the stories. It was there that I read Deborah Eisenberg’s piece, which changed me forever. Thank you, New Yorker. Or maybe I should curse them instead, since now I’m doomed to the writing life (unless I can think of how to become an investment banker). And as for recent novels for adults, I have a hands-down, absolute favourite called Christadora, by Tim Murphy, which is about several generations of a family in New York City’s East Village, all touched by gentrification, art, and AIDS. It’s an amazing book. Thank you for visiting the blog, Lisa! Lost Stars (or what Lou Reed taught me about love) is out now from Hot Key Books in the UK. This entry was posted in Blog Tour, Guest Post on October 21, 2016 by Gee. Fairy tales, folk tales, myths and legends have been told and retold countless times, gaining and losing elements with each retelling. They have changed over time, morphed into different versions and inspired entirely new stories. I love using folklore and mythology as an inspiration for my writing. Indigo’s Dragon features several well known creatures from mythology, reimagined in my own way. There is a griffin inspired magpie-cat, a kraken inspired giant cephalopod, a yeti that is probably more of a hairy boy (or is it? ), and dragons that … well you’ll have to read the book to discover their secrets. In the sequel, Indigo’s Demons, there are many creatures borrowed from Slavic mythology, and in the third book of the series, Indigo’s Deep, I was inspired by the drawings of sea monsters found on Olaus Magnus’s Carta Marina (a map of northern Europe published in 1539). As well as the creatures in Indigo’s Dragon, the story itself was also inspired by folklore. I love reading Polish and Baltic folk tales and one in particular, the Dragon of Krakow, captured my imagination. The Dragon of Krakow lived in a cave in Wawel Hill, on the banks of the River Vistula, and spent most of his time terrorising the population of Krakow. Stories about the dragon have been told since at least the 12th century, and as with most stories of that age that are many different versions. All of the ones I have read end with the dragon being killed; sometimes slain by a prince, but more often poisoned by a tailor or shoemaker using a sheep stuffed with sulphur. I took the end of this story and used it as a starting point for my own. I thought ‘What if …?’ and then I continued the story, weaving in other threads and twisting it into another tale. I have found myself using this technique several times. In Indigo’s Deep I played with the legend of Jūratė, Kastytis and the Amber Palace, and in the book I am currently writing I have been inspired by the incredibly freakish Baba Yaga who, in the old tales, rides in a mortar and lives in a house with chicken legs. Like living things stories grow, evolve and reproduce, and I believe by using folklore and mythology as an inspiration writers can help to keep the old stories alive while creating something new. 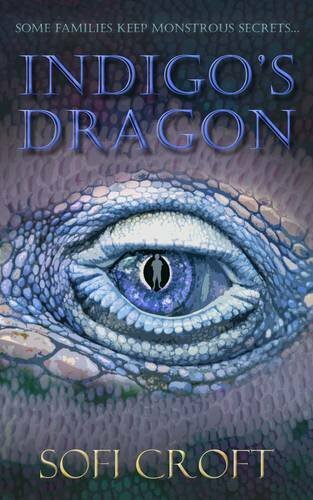 Indigo’s Dragon (Indigo’s Dragon #1) by Sofi Croft is a children’s fantasy novel full of adventure, mystery, monsters and dragons. This entry was posted in Blog Tour, Guest Post on June 17, 2016 by Gee. Interested in her new novel? It’s an exciting new dystopian novel, where you are either labelled PERFECT or FLAWED. Here’s the synopsis! 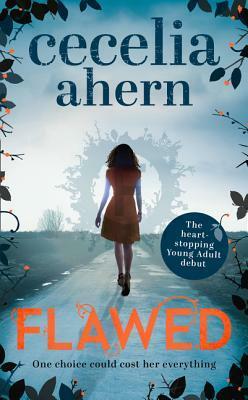 FLAWED is published by Harper Collins Children’s Books and is available now in book stores. 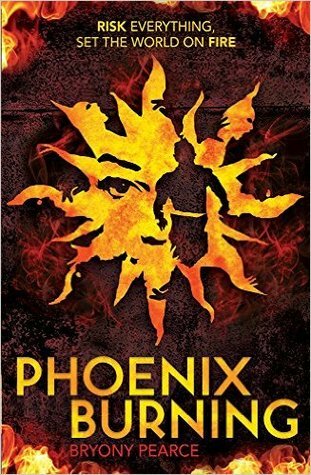 This entry was posted in Blog Tour, Guest Post and tagged 2016 release, Blog tour, cecelia ahern, dystopia, flawed, guest post, harper collins, YA on April 7, 2016 by Gee.